Got recent OxygenOS update? But annoyed with automatic turn off OTG option? If so, then here we have made a step-by-step guide to enable always-on OTG on your OnePlus devies (6/5T/5/3T/3). Enabling always-on OTG on OnePlus devices would have been the great option to connect USB devices like pen drives and keyboard to the smartphone. Moreover, it also allows to connect a drive with your smartphone, a controller to play games or other uses. Once you turn on always-on OTG on OnePlus 6, 5T, 5,3T, or 3, your device can act both as a host or master device or a slave device. Today, not every device comes with OTG feature. OnePlus devices are among those which include OTG function support. But since latest OxygenOS has arrived, the OTG automatically turns off after 10 minutes of not being used even you have enabled it. I hate it when OTG automatically disabled while playing games with a controller. But now, we are happy to share you that you can enable always-on OTG on your OnePlus devices without rooting your phone. There is a simple way to activate always-on OTG using ADB and Fastboot drivers. Here’s the full process! Note: Make sure that you have installed ADB and Fastboot on your PC. Step #1: First of all, you need to enable OTG on your OnePlus 6/5T/5/3T/3 device. To do that, go to Settings > Advanced > turn on the OTG Storage switch. Step #2: Next, go to the ADB folder on your computer and then press and hold Shift and right click inside the folder. Step #3: Now, click on Open Command Window Here and then type the following command in the command prompt and press enter. You don’t need to the “adb shell” prefix if you are running the command on your OnePlus device. Step #4: To confirm changes, you need to enter the following command and If it returns 0, then the changes have been successful. 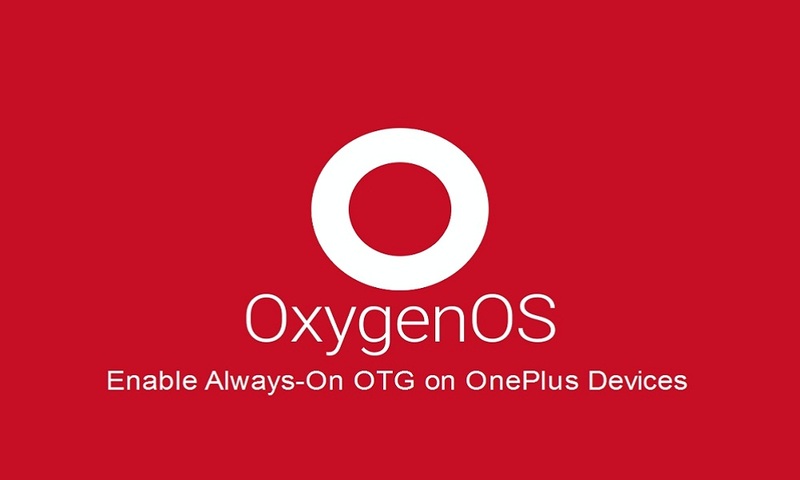 Once you follow the above procedure, you can permanently enable OTG on your OnePlus devices running the latest OxygenOS update. Make sure that once you turn off OTG OTG your phone, you will have to follow the above procedure again to turn it on again. So, keep it in your mind while disabling the OTG function. Hope you have properly followed the above procedure and activated always-on OTG on your OnePlus device. So, now you don’t need to turn it on manually every 10 minutes. If you encounter any problem while following this guide, please let us know through comments.